Aries are hasty and impulsive while Libras are entirely the opposite. Libras are almost too careful when making decisions- Libra loves to look at both sides and seek others opinions before working on tasts. In this way, Aries and Libras are complete opposites. 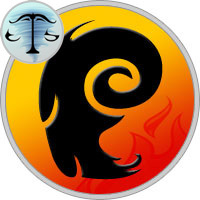 Aries are extremely individualistic and they may never care about other’s opinions of them. In fact, an Aries could be too indifferent to other’s opinions. Once an Aries and a Libra overcome this characteristic they can form the best compaionship. Aries and Libra is an interesting relationship. The good news is that there’s going to be a lot of sexual chemistry, and the bad news is that your preferred styles may need constant compromise to meet both your needs. Aries and Libra are opposite signs in the zodiac so Aries is extremely attracted to Libra and vice versa. A lot of laughter and banter can be expected on their first date, and afterward it will have felt like a party. Astrologically, Aries and Libra have a primal sexual attraction. Libras are enchanting, want to be wined and dined and surrounded by the best. Libra women are masters at the art of seduction. Libra men are charming and popular with the ladies. A long-term relationship between Aries and Libra can be truly successful. Libras like to have other people around them and love social excitement. Aries wants to be the hero of all his many friends and is on a constant hunt for adventure. Libra men and women both have strong aesthetics suggesting to Aries the importance of keeping up with fashion. Love with Libra is captivating. Libras are good enough and could help Aries slow down a bit. This would give these two lovers an increased sensual experience in the bedroom. Love with Libra has to be classy, but they are creative lovers. The most sensitive area for Aries is the head while Libra’s erogenous zone is the lower back. Caressing, even dancing, sets the stage, and sensuality is heightened in the bedroom with candles, scented oils and foreplay. Marriage between these two zodiac lovers beats all odds. The whole relationship stays exciting because of the various things Aries and Libra can teach each other. Libra can teach Aries sophistication and elegance. Aries could also learn to think before he jumps. Libra can learn, from Aries, how to become more adventurous and outgoing. Compatibility ensures an attractive and exciting love match. Aries and Libra both need respect, fairness and a little independence. However, both zodiac signs are determined to be at the top. Aries, the guiltiest for being controlling, already owns multiple horoscopes shouting “Stop being so bossy!” Libra, however, saves the day with compromises that end arguments and ensure continued success for the relationship.